Editor’s Note: This review contains plot spoilers for the premiere episode of The Conners. Last season, ABC’s Roseanne revival proved to be a massive hit… that was infamously canceled amid a tidal wave of controversy. 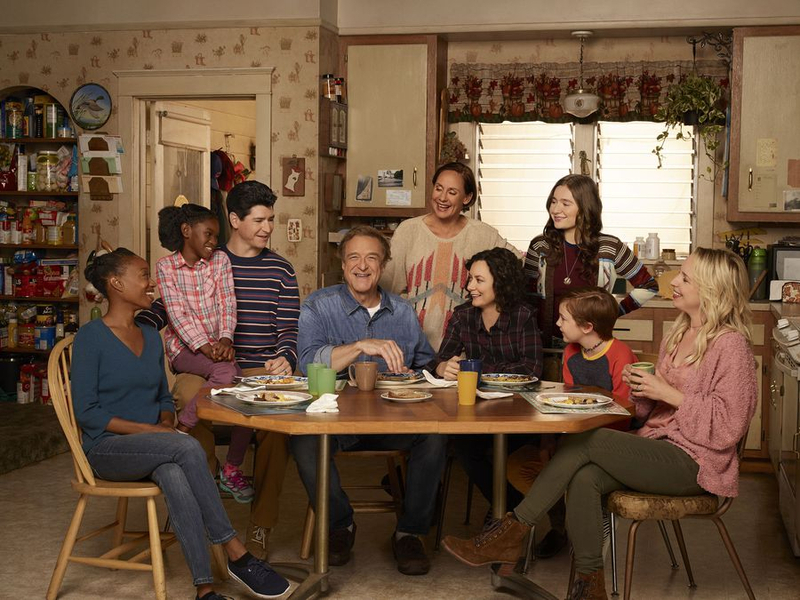 That part you know, but what ABC was hoping was that the mystery of what would become of the namesake matriarch for their new spinoff The Conners would bring eyeballs back to the Tuesday, 8 p.m. timeslot. As a result, promotions hyped that “all of your questions would be answered” and the few critics who did get to screen the show ahead of time were sworn to secrecy. Yet, for all that effort, Roseanne Conner’s fate wasn’t all that surprising: she passed away following a prescription opioid overdose — something most if not all observers had predicted. So the question then becomes, was this the right choice? And does the show set itself up for a successful revival of a successful revival? 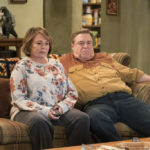 First, for a show that so often winks at the camera to great effect, the premiere of The Conners made no effort to turn Roseanne Conner’s passing into some meta commentary. No, there weren’t references to Twitter, Planet of the Apes, or anything of the sort in sight. Instead, the show stayed grounded to its plot and showed a family grieving in multiple ways while also trying to pick up the pieces in the aftermath. While that overarching sentiment might mirror reality somewhat, the closest the show comes to drawing actual parallels is when Becky tells her sister Darlene that she seems to be the natural choice to fill in for her mother. Still, those hoping to see the characters take thinly veiled shots and their former co-star would be disappointed as the Conners express little else but love for their fallen family member. Of course, while the debut of The Conners needed to address the death of “Granny Rose” in a way that was more than just a throwaway line, it didn’t restrict itself to just being a cry fest or dwelling solely on the past. For example, I enjoyed the side story that found Dan Conner attempting to express his anger by publically shaming the women whose name was on the prescription pill bottle found in their home. Although this plot was introduced and resolved in a mere two scenes, I appreciated what it was trying to do. Meanwhile another b-story involving Mark deciding which of his two male friends he wanted to be his seatmate brought some levity to the episode and showed some real evolution on Dan’s part — something I suspect future episodes will explore even further. Alas, in my review of the Roseanne season 10 premiere, I noted that some of the performances weren’t quite up to snuff. While one would hope that, with the high stakes of The Conners, the cast would step things up a notch, that isn’t exactly the case. To be fair, it’s hard to say if the script or the cast are to blame for the sometimes stilted scenes but it can certainly be distracting. That said, Laurie Metcalf continues to hit it out of the park and remains the show’s saving grace. Ultimately, it’s hard for me to decide just what I thought of The Conners. During the show’s first commercials break, which followed a pretty rough first act, my wife asked me, “Do you think it gets better or worse from here?” I put my money on “better” and I’d say that bet paid out, if for no other reason than a very clever moment near the episode’s end that I think managed to really set the tone for this new venture beautifully. Unfortunately, this great bit was abruptly stepped on by a voiceover announcing, “Stay tuned for more of The Conners.” Despite that annoyingly shoehorned plea, I think I will stay tuned for more of The Conners. While it inherits some of the problems of its predecessor, it also carries on a lot of its strengths. Now, with the heavy stuff behind them, I’m honestly interested to see where the writers take this family next. I give ABC’s The Conners 3.5 out of 5 steam-cleaned couches.